Here are a few pages that describe my: background; experiences as an artist; what I hope to accomplish; and a printable brochure. My life has always been associated with art. 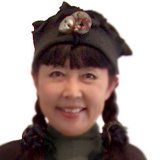 My art career began as I started drawing faces with chalk on the blackboard and on the pavement at Koen Joshi Gakuin, a Catholic elementary school, and Seikei Gakuin, a private middle/high school. This habit sometimes brought me, or rather, my mother trouble from school faculty. My teachers were understandably not amused by my drawing of a teacher during class and called my mother to put an end to the doodling. My mother, however, turned out to play a key role for what I am as an artist while my father supported me whole-heartedly. She would often take me to the major art exhibitions at Ueno art Museum in Tokyo. It was at one of those exhibitions that my life changed dramatically and led me on the path of oil painting. 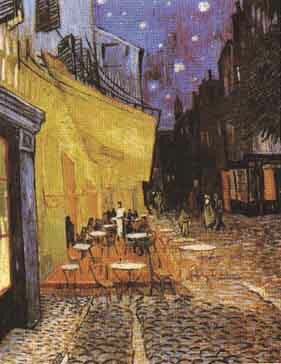 It was the Van Gogh Exhibition and his work called "Cafe Terrace at Night" painted in Ales, France. What an emotional impact it had on me! I copied the painting and later gave it to my grandfather who loved music and art. The painting "Cafe Terrace at Night" is still the reason why I am an oil painter today. After majoring in the fine arts at Keio University, I wanted to see American artists' work since there were not so many American art exhibitions in Japan at the time. So, off I went to San Francisco to study at the Academy of Fine Arts. 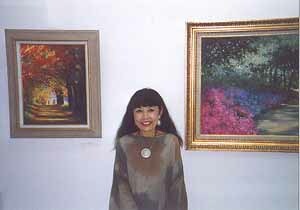 It was during this period where my life as a professional painter began. I believe that I was destined to live in Holland where Van Gogh was born. Three and a half years living in Holland taught me the most important principles that permeate my paintings as well as my life. That is that Nature and Life are the greatest of teachers. What is important in Nature and Life is important in painting as well. Nature shows us the color harmony and asymmetrical balance of lines and shapes. What is important in Life such as value, perspective, relationship, and communication, is also important in painting. Simplicity in Nature and in Life is the key to successful living as well as painting. I am a plein air painter, painting outdoors while enjoying and learning from what Nature shows us. I try not to copy the scenery but rather feel and respond to what I see. I think that art and humor are vitamins to our souls. If my paintings would bring the feeling of Harmony, Love and all the positive energies to you, I would be content.